Now that we’re done with our look back at 2014, it’s time to cast forward to this year. There are a lot of great looking movies coming out this year. Here are some of the ones we’re looking forward to the most throughout 2015. Blackhat is a new crime thriller concerning a hacker (Thor‘s Chris Hemsworth) brought aboard to track down a dangerous cyber-terrorist who is targeting major threats around the world. Perhaps this will be seen as a cleanse of sorts for Hollywood still reeling from the very real hacking of Sony. More important, at least for the sake of filmgoers, is that Blackhat is the first film Michael Mann has made in more than five years. As a filmmaker and storyteller, Mann, since defining cool since the mid 1980s with the Miami Vice television series and taut, expertly controlled movies like Manhunter (1986), Heat (1995) and Collateral (2004), has basically reinvented and reinvigorated what crime dramas look and feel like. He can do prestige like the best of them (as evident in Oscar contenders titles like The Insider), but even if Blackhat is more of a leave-your-brain-at-home type of movie going experience, Mann will surely provide a propulsive and visceral kick to go with your popcorn. From everything we’ve seen so far, this promises to be fun. Based on the graphic novel by Mark Millar and Dave Gibbons, the film looks to blend an homage to Bond-esque spy gadgets with a coming-of-age tale of a wayward boy who is taken under the wing of a super-spy mentor (Colin Firth) just in time to battle a global tech invasion. Samuel L. Jackson and Michael Caine join Firth in this action-packed thriller. Oh, and may I add – MARK HAMILL (hello, Luke Skywalker!) – as (sort-of) Mark Hamill. If you’ve read the book, you’ll know what I mean, but no spoilers here! Admittedly, the plot (a couple in their 40s – Ben Stiller and Naomi Watts – befriends a younger couple – Adam Driver and Amanda Seyfried) – to recapture their rapidly fading youth) sounds conventional and derivative. However, Noah Baumbach (Frances Ha, Greenberg) at the helm probably means that it’ll be something greater than Generic Mid-Life Crisis Movie. His films tend to exist in that difficult-to-achieve-but-true-to-life middle ground between comedy and drama, and if the trailer is any indication, While We’re Young appears to continue this trend. And, unlike someone like Judd Apatow who seems to try (but often fails) to achieve this balance, Baumbach creates characters who both have distinct voices and are devoid of the tendency to break into improv routines. (And at 94 minutes, it’s a full 40 minutes shorter than the horrendous This is 40.) Moreover, Baumbach seems to be one of the few filmmakers who recognizes Ben Stiller’s genuinely decent serious acting ability, something that should be showcased far more often. There’s a lot of promise in Ex Machina. Not only does the trailer offer an engaging, and thought provoking glimpse into the conflict of two men and a robot, it rediscovers some classic themes of science fiction regarding artificial intelligence and playing god. It’s directed by first timer Alex Garland, but one would hardly guess that it’s his first foray in the chair from the trailer’s confident visual look, highlighting a clean, sleek but minimal design (take note of the simple yet effective design of the A.I. of the film, played by Alicia Vikander). But there’s promise beyond that of the narrative or direction. It’s a film chock-full of up and comers. Domhnall Gleeson has slowly been working his way into our collective conscious, with turns in Frank, About Time, Calvary, and Unbroken. Oscar Isaac has as well, with performances in Inside Llewyn Davis, Drive, and A Most Violent Year. The coming out party for these two talents will come in December, when they both will have roles in the mega-franchise that is Star Wars, but the teaser of something possibly superb in it’s own right will come much sooner, in April, when these two star in Alex Garland’s Ex Machina. This film looks crazy. After 25 years of development hell, delays, and reshoots, we’re finally getting a new Mad Max, and it looks to have everything you’d ever want: a great cast, returning original director, and most importantly, ludicrous action. All the footage that we’ve seen from Fury Road has been incredible. It’s just not that often you see a director get handed over 100 million dollars to make this kind of psychotic fever dream. Sign me up. It’s been a trying few years for Pixar fans, with the disappointing trifecta of Cars 2, Brave, and Monsters University hitting theaters and the problematic Good Dinosaur being held back from release. Through the darkness, however, the promise of Inside Out has been a beacon of hope for animation fans worldwide. Its original premise seems to strike the perfect balance between unbound visual creativity and grounded personal stakes, and the cast and crew assembled behind it are an animation dream team. The snippet of the film we got to see in its second trailer was a perfectly calibrated comedy machine. If the film as a whole can live up to that promise and combine it with the heartfelt sentiment Pixar is known for we may well see the return of the storytelling juggernaut’s full power. With 2015 comes a host of Marvel Cinematic Universe material, and the biggest surprise (pun intended) may well come from Ant-Man. Ant-Man was one of the founders of the Avengers, and a lot of loyal Marvel fans were disappointed that he didn’t make it into the first movie or its sort-of prequels. But with Phase 3 coming, Ant-Man could bring new blood to the MCU, much like Guardians of the Galaxy did, but grounded on Earth. Ant-Man will be indicative of Marvel’s continued ability – or inability – to branch out (with other odd heroes like Dr. Strange incoming) and tell new, interesting stories within its established cinematic universe. 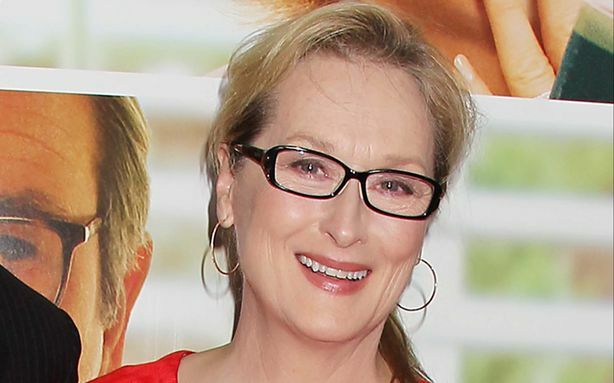 Meryl Streep, longtime “greatest living actress” and record holder of most acting Oscar nominations (who will likely add one more nod to bring her career total to 19 if the Into the Woods awards chatter holds) looks to do something a bit different with her next movie – play a rock star. Teaming with Oscar winning director Jonathan Demme (The Silence of the Lambs) from a screenplay by Oscar winning writer Diablo Cody (Juno), Streep stars as Ricki Rendazzo, an aging rocker trying to reconnect with her estranged family. Demme is a first rate filmmaker and the log line of Ricki and the Flash strikes as the type of sharply-drawn, character-driven film that distinguishes much of the filmmakers’ strongest work (Something Wild, Rachel Getting Married). Add to that an eclectic supporting cast that includes Kevin Kline and Rick Springfield, and this may be magic. It’s hard to recall a movie going through as a bizarre journey as the one Jane Got a Gun took to finally get to the screen. Numerous leading men fell in and out of various roles, production dates were pushed back, and then on the first day of shooing, director Lynn Ramsey simply refused to show up. The producers scrambled and came up up with Warrior director Gavin O’Connor – not too shabby for such short notice. The one constant through it all has been producer and star Natalie Portman, who deserves some sort of award for seeing this through. The movie may be amazing, or it may be terrible – it’s just a miracle we’re finally going to find out. Guillermo del Toro returns to horror form with his first project since 2013’s Pacific Rim. Famous for such films as Pan’s Labyrinth and Hellboy, the gothic genre is where many would agree the writer-director most shines. His return is also amplified by the two main stars of the film, Mia Wasikowska (Alice in Wonderland) and Tom Hiddleston (Thor), who have both recently made waves in gothic cinema: Wasikowska in Jane Eyre and Stoker and Hiddleston in this year’s acclaimed Only Lovers Left Alive. The story follows the young author Wasikowska who is seduced by the charming and mysterious Hiddleston and brought back to his (haunted) ancestral home which also houses his jealous sister, played by Jessica Chastain—an exciting transition for the actress who most often plays variations of America’s sweetheart (The Help, Zero Dark Thirty, Lawless). Charlie Hunnam (TV’s Sons of Anarchy) also stars as Wasikowska’s childhood friend in his second collaboration with del Toro since Pacific Rim. Director Jeff Nichols has made all of three films – Shotgun Stories, Take Shelter, and Mud – and already he feels like a director you’d follow anywhere. Doesn’t matter the story, the actors, the genre – if he’s in the director’s chair, it’s going to be worth checking out at the very least, and perhaps it’ll turn out to be something special. In this case it’s a sci-fi drama about a child with special powers who is forced to go on the run with his dad. Little else is known about the movie other than the cast – Joel Edgerton, Adam Driver, Kirsten Dunst, and others in this case – but none of that matters. We’ve reached the point where we can look forward to it with bated breath because it’s the new Jeff Nichols movie. Please be good…Please be good…Please be good…..
Is there really any more that needs to be said about a new Star Wars film? We’ll be getting a new trailer sometime in the next few months, and with apologies to the teaser we already have, that’ll be the first moment we’ll have to really judge this new film. Everything we’ve seen so far has been pretty hope-inducing…but there’s been nothing this side of the Prequels Tragedy to swing it firmly into the “This is gonna be awesome!” camp. So why is it my most anticipated movie of the year, never mind December? Because it’s Star Wars. Because I, and millions like me, can’t help ourselves. Because amidst our terror, we’re also so excited for what this movie could be that, like a lion tamer, we’re willing once again to stick our head into the mouth of the beast and trust he won’t bite down…again.